Summer is the time for sunshine, flowers in bloom, and spotting dragonflies flitting through the air. 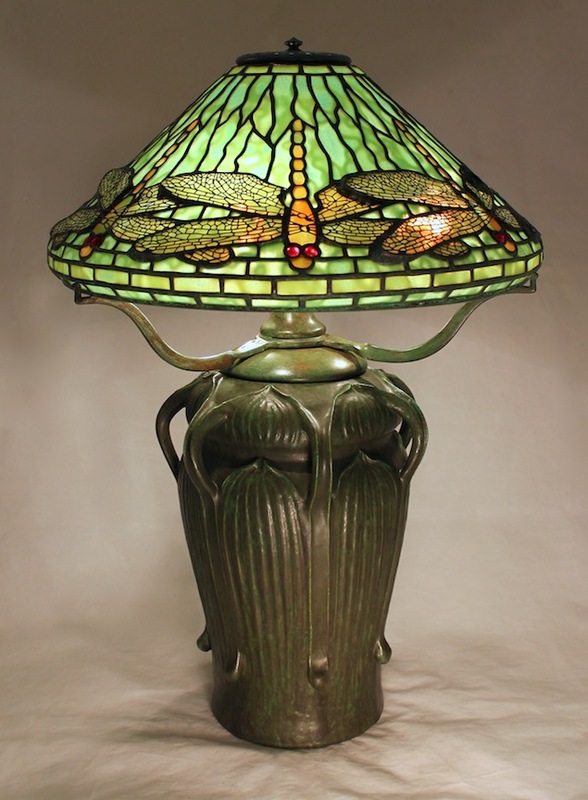 Created in several subtle tones of green, this 16″ Dragonfly shade is sure to evoke these long summer days throughout the year. The shade is shown on the distinctive 7 Handled Pottery Base w/Arms. 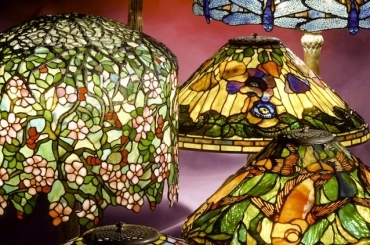 This lamp was commissioned by a client in Connecticut.